This week, we found a story out of Plano, Texas, about 57-year-old police officer Arthur Parker. Officer Parker has been directing traffic at Clark High School in Plano for over 25 years. The students and staff at the high school say that Officer Parker, or “O.P.” as they call him, not only provides safety for them at their high school as its resource officer, but he does his job with a smile. O.P. has been known to act goofy and act like different characters just to get those kids laughing and keep them motivated. He even taught himself how to play the harmonica and plays songs for the kids to keep them moving and excited to be there. The kids at the high school consider him a confidante, and they feel that he’s great to talk to when they need a little help or advice. So, it was no surprise to hear that Officer Parker was named Plano Police Officer of the Year… And, the kids of Clark High School surprised him with a pep rally to celebrate the honor! Officer Parker says that he just wants to give back and that people have no idea the power they have to make someone happy, even if it’s just sharing a smile. Well, Office Parker, you sound like a lot of fun! 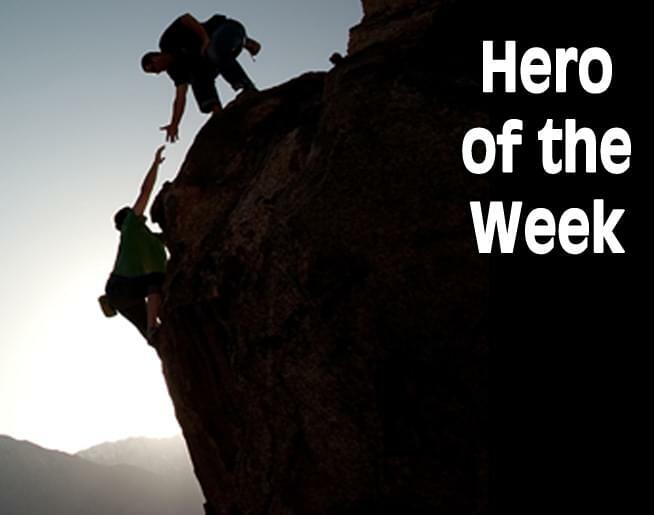 And, it sounds like you are making a difference in the lives of all those kids in Plano, Texas, so we would like to recognize you as our Hero of the Week!